S5 Restaurante - want to create a poster about the pizzeria, bar and grill, or? Then specially designed for you template S5 Restaurante, which will be easy to install components and allows any small restaurant to take online orders from their website. 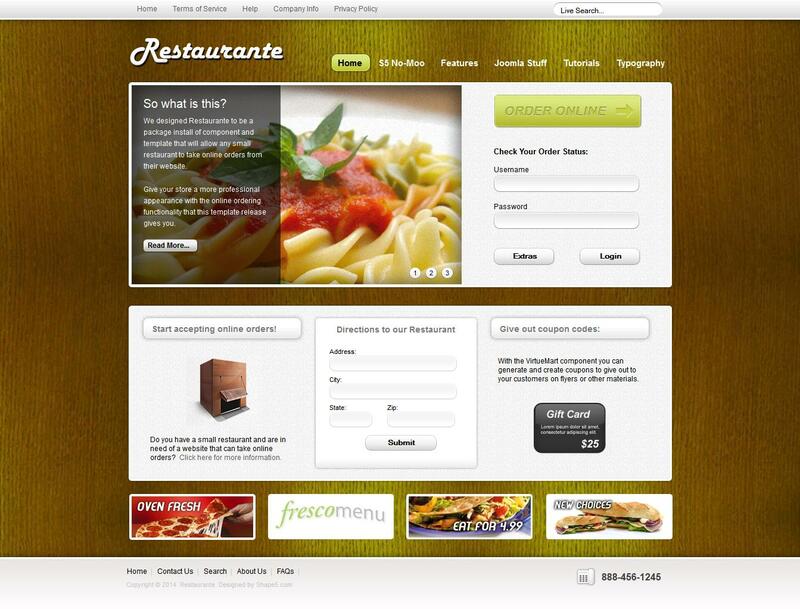 Give your site or store a more professional appearance with the online ordering functionality, S5 Restaurante template will help you in this. S5 Restaurante includes support for VirtueMart, edited according to online restaurant. Developers also returned and S5 column cart and AJAX functionality. Also present new IE6 plugin that will notify users to update their browser.